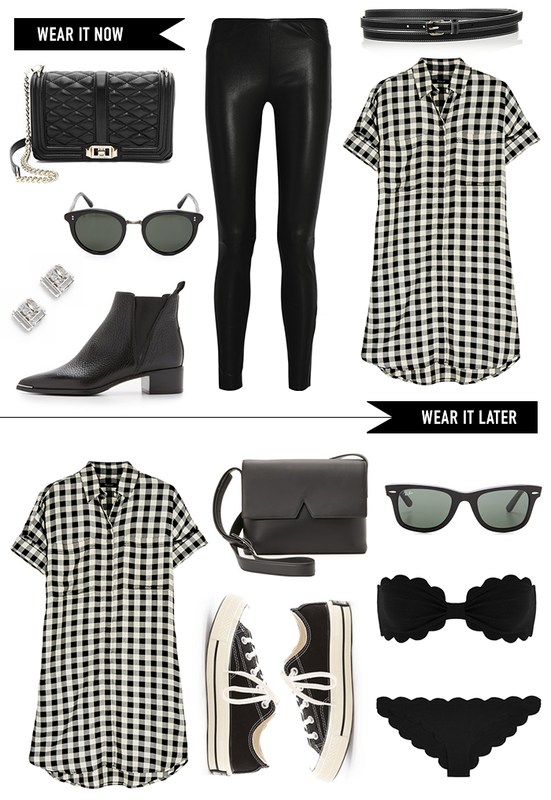 When I stumbled upon this cute check shirtdress, It jumped out to me as a wear-with-anything basic that could be used year-round. When I looked at the price, I nearly hopped out of my chair. At just $100, this shirtdress is one of the most versatile I’ve found. For these colder months, it looks amazing belted over my favorite leather leggings. For a more fashion-forward ensemble, you could also try pairing it with your go-to black turtleneck for a cool layered look. For spring/summer, it’s an easy, breezy option for errands, brunch or even can be worn as a coverup to the pool or beach. The options are endless! Buy this dress now before it’s gone. Great dress! And i love those chelsea boots! What a great post, Merritt! Well styled x 2.